Stacy Keibler Knows How To Get a Man | Michelle Visage - Official Site! First Stacy Keibler dated George Clooney for two years and now she’s moved on to a man named Jared Pobre who is a tech engineer, but check out he celebrated his new lady’s 34th birthday: First he treated her to an major celebration that started in Paris, moved to Amsterdam and finished with a bang for a James Bond themed birthday party here in LA. Back in my single days I was lucky if I got a Burger King and a night at the Motel 6. WTF?? 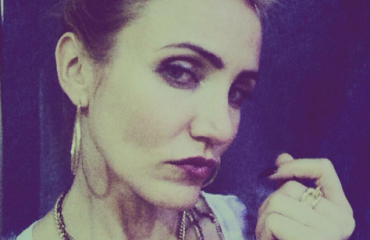 This Is Cameron Diaz’s Best Miss Hannigan Look?